The dismantling of equipment at the shutdown units 1 and 2 of the Beloyarsk nuclear power plant in Russia has started. Decommissioning of the two prototype reactors is expected to take 18 years to complete. Beloyarsk 1 and 2 were prototype water-cooled graphite-moderated channel-type slow neutron reactors with capacities of 100 MWe and 200 MWe respectively. They are referred to as ABM-100 and ABM-200 units. Unit 1 began operating in April 1964 and was shut down in 1981, while unit 2 started up in 1967 and closed in 1989. The fuel has since been removed from both units and kept in an on-site storage pool. Work to dismantle equipment at the two units has now begun, starting with the turbogenerator for unit 1. The compaction of some radioactive wastes - including parts of equipment, tools and clothing used during the operation and maintenance of units 1 and 2 - has also started. This waste has up until now been kept in a dry storage facility at the Beloyarsk site, near Zarechny in the Sverdlovsk region. Depending on its activity, the compacted waste will either be sent for recycling or final disposal. The first step in decommissioning is to manage the used fuel, but the ABM fuel assemblies have unique geometric dimensions and so a special reprocessing line for them is under development. The transport of used fuel from Beloyarsk to the reprocessing plant will begin in a few years' time. The reactor graphite stacks will then be dismantled and the reactor buildings decontaminated. Demolishing of the main building housing units 1 and 2 will then commence, which is scheduled to be completed by 2032. The site of the units will then be cleared for other industrial uses. The decommissioning work will be funded by nuclear power plant operator Rosenergoatom, a subsidiary of Russian state nuclear enterprise Rosatom. 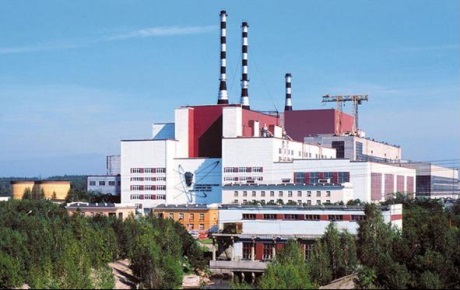 No funds were set aside during Soviet times for the decommissioning of nuclear reactors but since 1995 nuclear power plants have contributed to a decommissioning fund. Two commercial-scale fast neutron reactors have been built at Beloyarsk. Unit 3 - a BN-600 - has been in operation since 1981 and is expected to run until 2025. Unit 4 - a larger BN-800 - is expected to start up later this year.